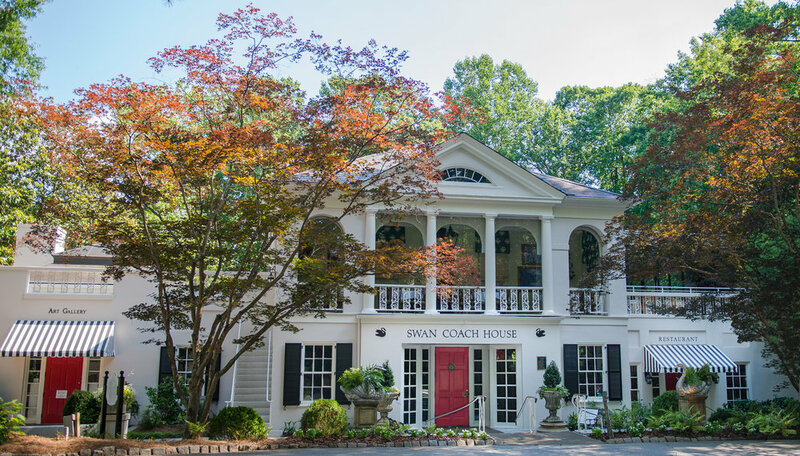 Atlanta, GA's Swan Coach House offers a restaurant, event space, gift shop, and gallery. All proceeds benefit the Atlanta visual arts community through Forward Arts Foundation. The Swan Coach House, located in Buckhead on the grounds of the Atlanta History Center, offers the complete Atlanta experience. This historical building houses an art gallery, a restaurant, a gift shop, and spaces for any event. Proceeds benefit the Atlanta visual arts community.